So, you've taken the plunge of switching from an antiquated on-premise email server to a modern, cloud based service like Microsoft 365 or G Suite by Google Cloud. Syncing is smooth and automated, you don't need to worry about an internal server failure, and everyone at the office loves using their own device to stay connected. While cloud based email archiving is a great option for a small to midsize businesses, it also puts your company at a greater risk for cyber attacks and security breaches. The world of cybersecurity can be confusing and intimidating, but we've compiled a short list of 3 steps you can take to bolster your email security and protect your data from malicious attacks. Though most cybercriminals are smart enough to disguise their phishing scams, some are fairly easy to spot. Let's face it, it's pretty unlikely that a foreign prince needs your help to transfer a large sum of money. In addition, emails from generic business divisions such as "The IT Department", "Management", or a lack of company logo should not be trusted. These emails can be spoofed, or sent from what appears to be a coworker, but is actually a malicious attacker. One way to prevent falling into these traps is with an email address validator. This useful web tool can determine, for multiple emails at a time, if an email exists or not. A validator can also give a "Trust Score" from 1-10 for each address you submit, using a variety of checks such as syntax, DNS, and Grey Listing among others. Though this method will help you filter out some sketchy emails, it's hard to catch everything. That's where our next email security step comes in. This is another common way for cybercriminals to gain access to your network and wreak havoc. In a best-case-scenario, clicking the unsubscribe button verifies to this potential attacker that your email address is active, which could lead to more spam emails down the line. In a worst-case-scenario, clicking the link leads to a site that automatically downloads malware to your device and infects your network. To combat this, always log into a website using a web browser, not from your email client. When receiving emails from services you don't recognize and don't want, marking the emails as spam will automatically delete them from your inbox and help the email provider recognize spam in the future. Both Office 365 and G Suite offer SafeLink URL rewriting, which puts tracking code on potentially malicious links that come through email. 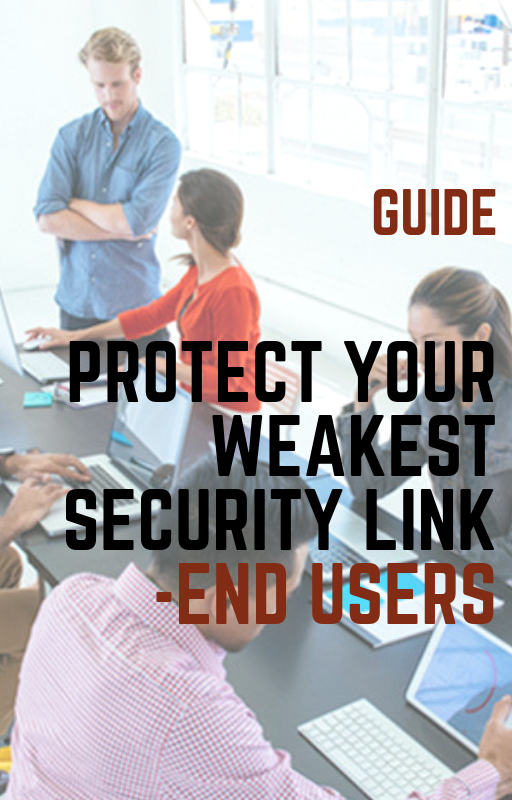 If a user clicks on the link, SafeLink redirects the user to a harmless landing page and prevents access to that site. I know what you're thinking. G Suite and Office 365 have a great spam filter and end-to-end encryption, so there's no need to be so cautious with your inbox. While these defense mechanisms of email servers do make it more difficult for malware to infect your network, they don't make it impossible. For example, malware that is hidden in an application like Microsoft Word won't be recognized by a basic spam filter. In addition, the increased popularity of BYOD creates even more opportunities for an attack. Although your office's dedicated email system has built-in security, your coworker accessing their personal email may not. Though you've been informed by this blog about some steps you can take to increase email security, someone else in your company may have just caused a breach by clicking on a link from "corporate". It may be difficult and expensive for your IT department to keep track of every employee and every decision made on every device connected to your network. Especially if some employees work from home using a VPN, where they are much more difficult to monitor. That's where we come in. Architected by Tekscape, Arma is an end-to end managed security solution designed to protect your business beyond the network perimeters. Integrating components of Cisco's leading portfolio, Arma is a scalable solution that protects your organization throughout the entire attack continuum. This service has the capability of identifying potentially threatening emails using Cisco's TALOS database, which collects data on cyberattacks from every public system using the service. Additionally, Arma can analyze and replace dangerous URLs in emails that do pass by the first filter with harmless text. The service also utilizes a first-of-its-kind procedure called Retroactive Security that can determine exactly when and where a file became malware and trace the path of the file to determine if any other hosts are compromised. You'll never have to worry about opening a file from an email again, as Arma includes attachment scanning with AMP and mailbox auto-remediation, the ability to delete a malicious attachment from your whole network Finally, Arma is managed by Tekscape, which leaves your company to do the important business. 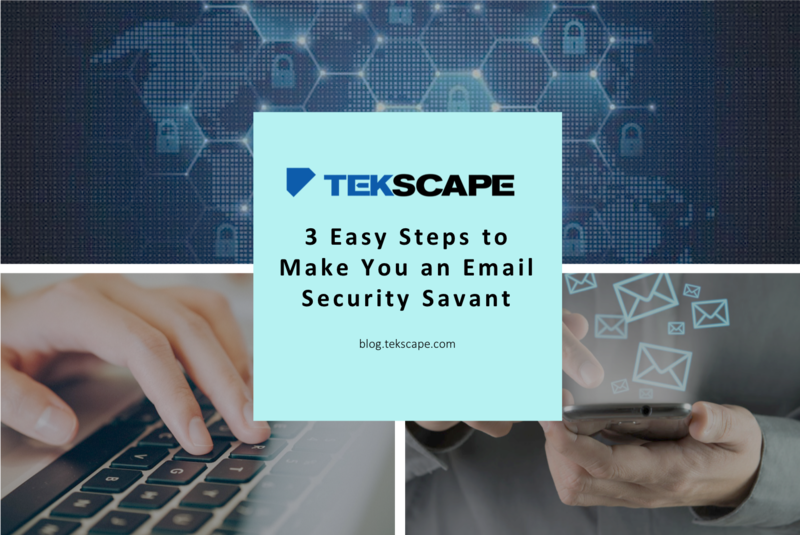 Become an email security savant and understand how to protect your weakest security link against social engineering attacks. Mediocre hackers hack systems, expert hackers hack people. Are you sure your users won't fall in a malicious cyber trap? What's Next? Get all the details into how to build and implement a cybersecurity plan that protects your business .